What are some tips that business owners and consumers use to avoid falling for these fake review tactics? Avoid "1 & Dones". Online review websites like Yelp & Zomato clearly show how many reviews a certain account has posted. Many new businesses, especially restaurants, encourage friends, family and employees to post reviews on websites to help encourage business. Many of these obvious biased reviewers only sign up and post one single review on a review website and never return. Amongst those who frequently contribute to online review websites, these reviewers are known as "1 and dones". Look for reviewers that have more reviews. The more reviews a certain reviewer has posted, the more experience a reviewer has. This is especially important on websites that focus on reviewing niche markets. An example of this niche market review would be Zomato that only focuses their attention on restaurants instead of any shop or service like Yelp!. Experienced reviewers on what you are looking for are easy to find because review websites clearly show how many reviews each account has, thus, the higher the number of reviews the more experience a reviewer is likely to have. Get to know your local reviewers. Frequent reviewers tend to concentrate their time in the local areas with a few reviews posted elsewhere as they go on vacation or for business. These reviewers are locals to the area who tend to be familiar with area customs, expectations and where to find good products and services. This is especially relevant on review websites like TripAdvisor, Zomato and Yelp! who sort their reviews by location/area and then by physical address. Finding local reviewers who share your tastes and expectations of a retail establishment are quite easy by searching out some of the places you like and seeing who, with multiple reviews, shares a similar sentiment. Use multiple websites to do your product and/or service research. When researching a product and/or service, take a look at reviews from multiple websites. This will help avoid company's that remove or edit negative customer reviews to make products and services appear better than they are. As well, by consulting multiple websites for research, it provides a wider range of feedback on your proposed purchases. Reviews found on the internet can be a positive way to market your business products and services while also helping sales prospects to find you. Falsely marketing through online reviews may end up hurting rather than helping. 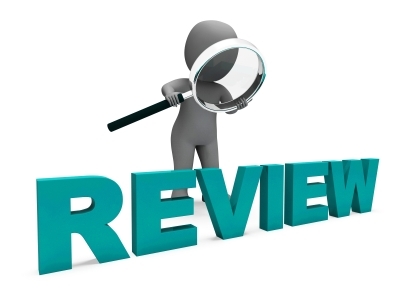 Online reviews are also an excellent way to research major purchases for either business or personal use. By avoiding the traps of marketing schemes, consumers can still learn extensively the pros and cons of a certain product or service. In the end, by using online reviews consumers can avoid disappointment in finding defects in their purchase and/or wasting money on an item that another manufacturer or retailer offers elsewhere at a better price. Need help with setting up your company's presence on reviews websites in an honest way? Need help responding to online reviews or customer feedback on websites? Suddcorp Solutions can help design a solution that fits your company's needs in a positive open manner in order to avoid the need for shady marketing tactics.